A lovely sign to display at your destination wedding to welcome your guests to the big day. Personalize it with your names and wedding date! 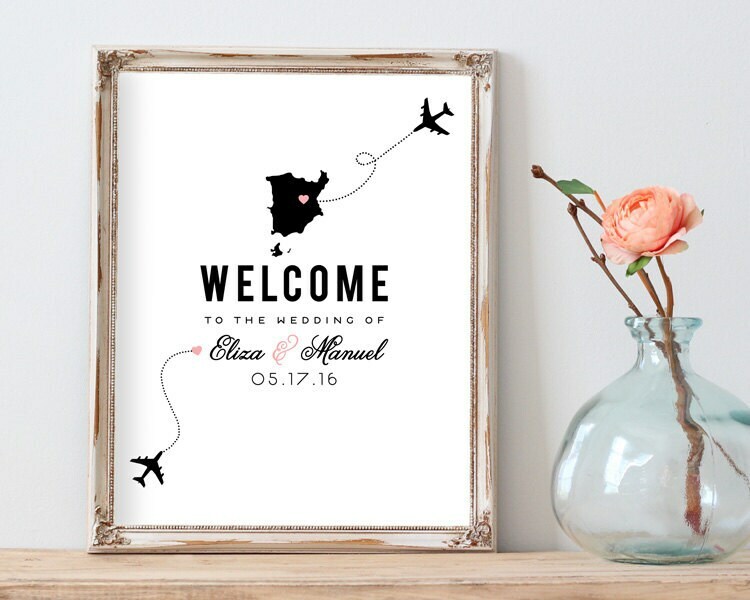 Upon checking out, please provide your NAMES and WEDDING DATE along with the DESTINATION of your wedding in the Note to Seller area. I will personalize it for you with the appropriate country silhouette illustration. You will receive a high resolution (300DPI) JPG file emailed to the email address associated with your Etsy account within 1 business day! Beautiful! Thank you so much for this wonderful welcome sign for our wedding, it's perfect!